"A man is as healthy, as healthy are his arteries." This wise saying reflects the fact that our arteries that carry blood to all tissues and organs are seriously importatnt to the proper functioning of our body. From the twentieth year of age, sometimes even earlier, there is an inflammatory reaction of the inner lining of the arteries called endothelial dysfunction. This worsens with increasing age, and leads to atherosclerosis, i.e. formation of sediments of fat in the walls of the arteries. This process can be compared to corroding of aging pipelines. The result of this proces is a narrowing of the inner lumen of the arteries, which can be so severe that it causes critical clogging up of arteries leading blood to the heart ( causing a heart attack) or brain (causing a stroke) or to the eye (causing blindness) or to the legs (causing ischemic disease of lower limb that could lead to amputation). High blood pressure (hypertension), diabetes, high level of cholesterol in the blood (hypercholesterolemia) and smoking significantly contribute to the deterioration of endothelial dysfunction and atherosclerosis. There is also an inherited (genetic) predisposition to these factors. On the other hand, healthy lifestyle, a balanced diet, doing regular exercise, good mood and reducing stress during normal daily activities can significantly contribute to reduce the risk of endothelial dysfunction and atherosclerosis of the arteries. 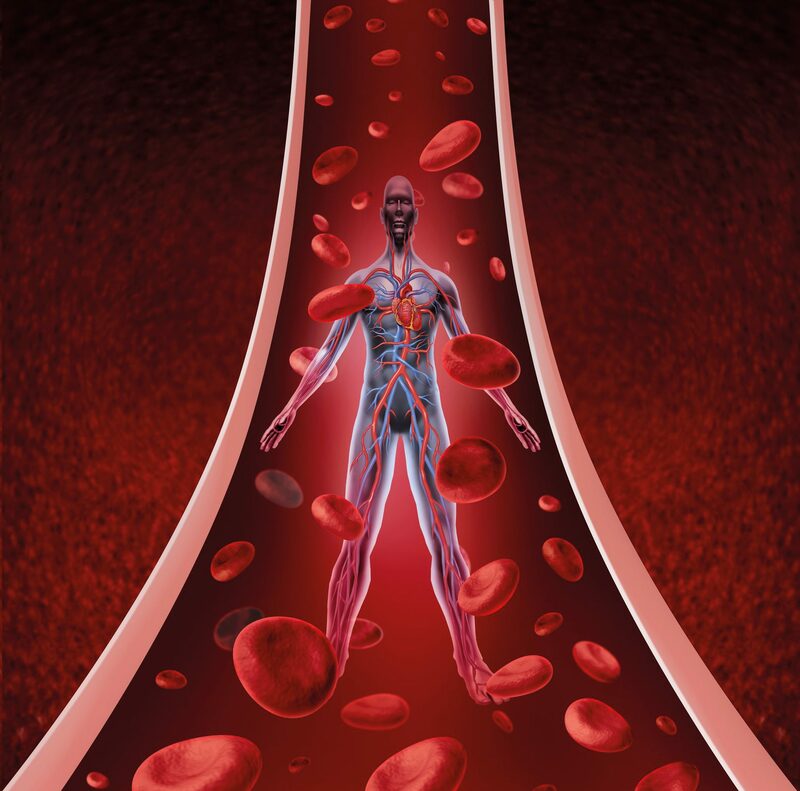 Once the blood reaches the target organs and tissues through a gentle network of capillaries, it returns back to the heart through a venous bloodstream. Proper function of the heart muscle and venous system is necessary for proper circulation of blood. If the venous bloodstream is inferior (often congenitally) or in the case of heart malfunctions, it fails and blood accumulates in the venous system, various complications arise that can result in swelling of the lower limbs, varices (also called "varicose veins") can develop, and blood clots may arise, so-called thrombosis may occur. Venous thrombosis can get complicated by releasing blood clots and by transportation of clot to lungs bloodstream, where it causes sudden shortness of breath and can even lead to death, so-called thromboembolic disease. Therefore, early detection of the problems with the vessels (arteries and veins) in our body can be an enormously important for our future health. Cellthera clinic comes with a unique solution and offers clinical examination revealing potential risks associated with arterial and venous bloodstreams. Our specialists (internists, angiologists, vascular surgeons) and nutrition consultants offer a complex solutions from examination of the bloodstream to finding the optimal solution right for you according to the principles of personalized medicine.